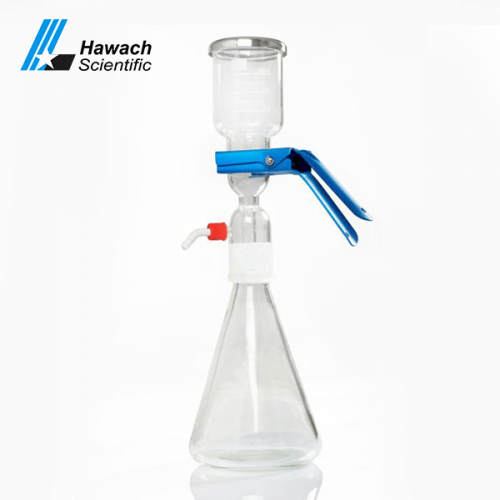 Hawach glass solvent filters are available in 300ml and 500ml sizes. Glass solvent filters use a special hard high-quality glass material that resists extremely poor temperature changes of up to 280 degrees Celsius. 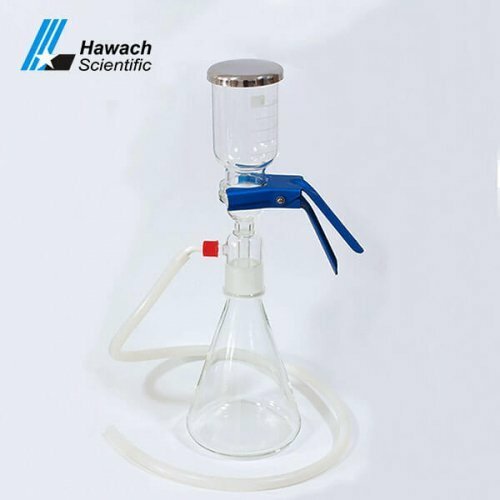 Glass solvent filters have good pressure resistance and can be used for high temperature and high-pressure autoclave. Glass solvent filters grind the mouth standard, the size specification conforms to the international standard, can cooperate with many foreign brands.